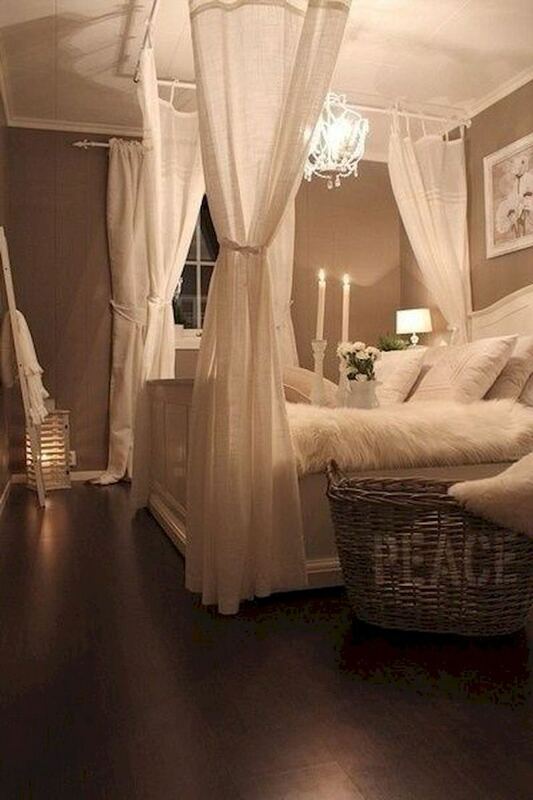 Want to add a little softness and romance to your bedroom? 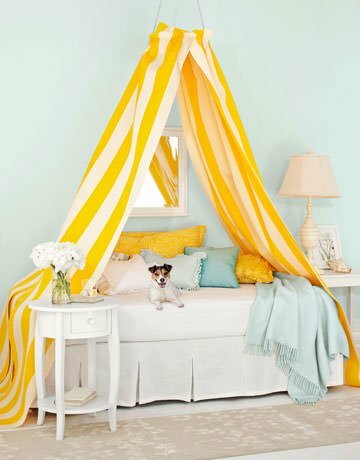 Here are great projects on making fast, easy and cheap DIY bed canopies to be hung anytime you want to cozy up! 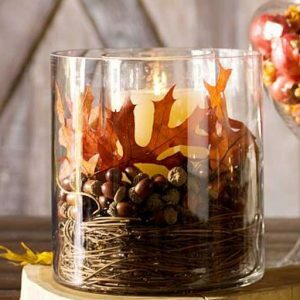 Also consider draping it around a sofa or a reading chair, hanging it over an entry table or fireplace mantel for drama, or use it to play up a focal point in any room. Oh, and don’t forget, the bed! Combine this treatment over your loveseat with a few floral or lace pillows for a wonderful cottage look. Add it over an entry art display for an elegant backdrop, or use it over your little princess’s bed for a no fuss special room treatment! 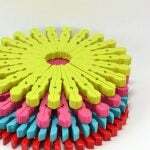 You could add fringe or beading to the bottom edge with a glue gun. This project holds a huge range of possibilities for adding romance and charm to your rooms, on a budget! DIY canopy basics are easy! Think of it like hanging curtains, just from the ceiling instead of the walls. Step 1 – Attach something to hang fabric from to the ceiling. 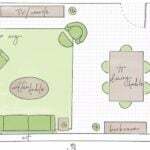 Determine whether you want the fabric to drape to the floor, surround the entire bed, or only accent the corners. Options for making DIY Bed Canopies? Curtain rods mounted to the ceiling. Embroidery hoops gathered with fabric panels over the headboard. 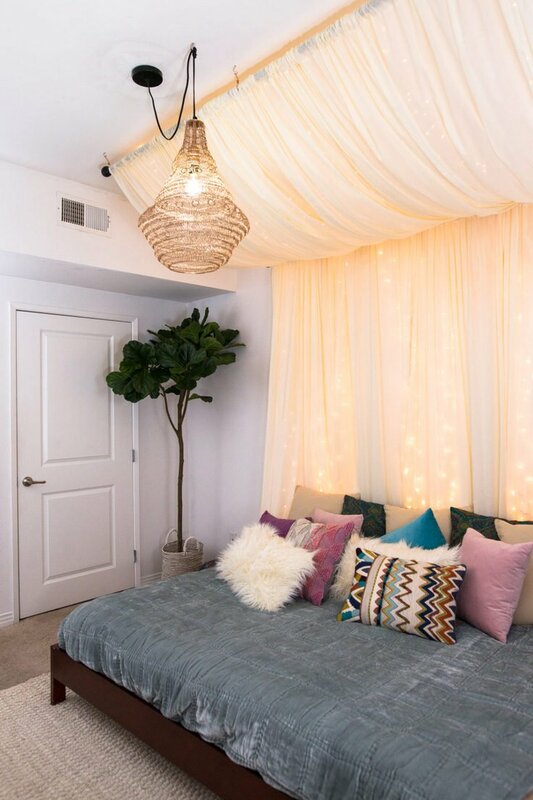 Loving on this Boho flavored DIY bed canopy from ‘Lily Pad Cottage‘. This is made of just curtain panels and screw in hooks! 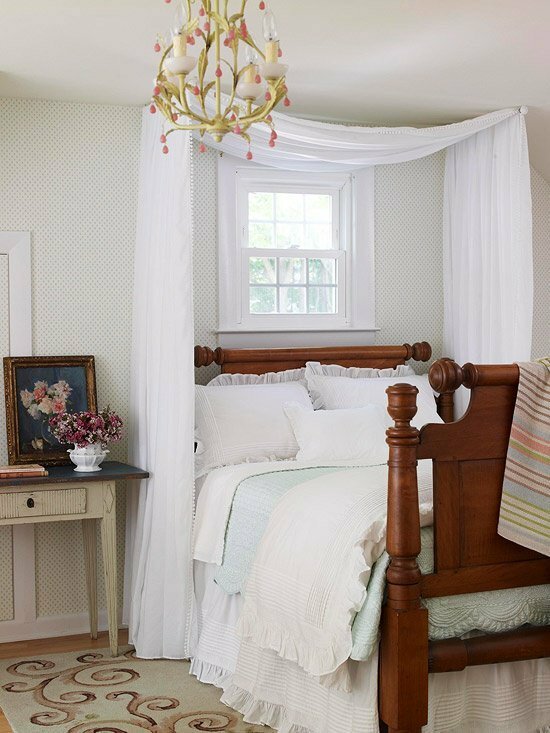 Make a DIY bed canopy using the embroidery hoop technique with this easy tutorial from ‘Burlap + Blue’. Love the romantic feel of this one! A curtain rod, sheer fabric and fairy lights are a recipe for perfect DIY bed canopies! And you can do this too with this step by step tutorial from ‘Mr. Kate‘! The lights make these like a dream! 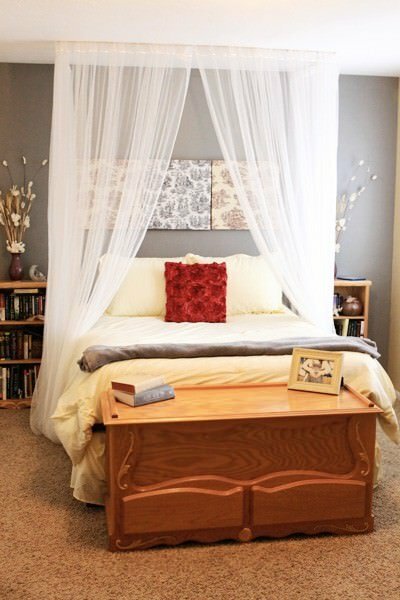 More ideas for romantic DIY bed canopies? 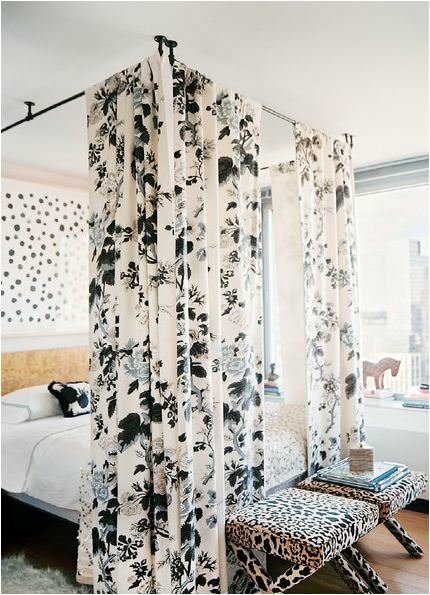 This canopy was made by attaching curtain rods to the ceiling, then just hanging curtain panels… From ‘Lonny Magazine‘! ‘Country Living‘ created this canopy with a round embroidery hoop! Staple shirred fabric to a wood furring strip, fold over once to hide the wood, then nail or screw to the ceiling. Photo from ‘Rosy Red Buttons‘. Use towel bars mounted to the ceiling and drape fabric through. Takes 20 minutes! We hope you loved reading all about DIY bed canopies! 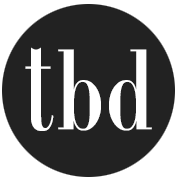 We think you will also love our posts on DIY Bed Frames and DIY Under Bed Storage! 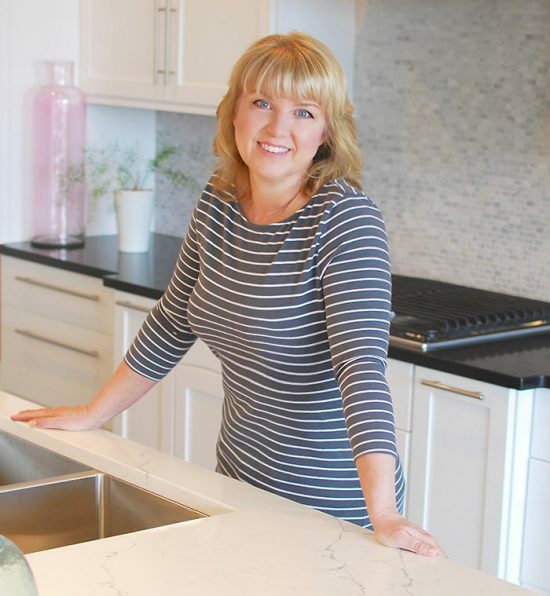 Beautiful,real decor for real homes,real people!Thank you so much for showing us we can still decorate on a budget and regardless of the size of our homes. Well Said!! Thanks Ladies keep the brilliant ideas flowing!! What type of rods/equipment did you use in picture #2 with the blk/wt fabric? Beautiful pictures and ideas by the way. Not totally sure on that bed. That photo came from another website which I can’t find now. It’s possible that it might be plumbing pipe painted black. Just a guess! What color is on the walls on the 4th and 6th picture????? I’m looking to create a canopy with fabric that i can pin up and drapes very well – could you give me any pointers as to the right fabric to use? I have the best luck with flowy fabrics, they seem to pin in place and drape with the most romance! wheres the best place to get fabric like in picture 3? Can you tell me what color you used on the walls in room no. 7? It’s the room with the basket that has “peace” lettered on it. I love that color! I’m sorry, we don’t have the color! The paint color in that room looks like what we used on our bedroom walls – “Cobblestone’, Pittsburgh Paints #419-5. However, in one of the other photos of that same room, it looks more grayish. We bought our paint 10 years ago, and apparently they sometimes change the formula, so I would check the current sales swatch color to be sure it looks like what you want. How wad the canopy hung on picture 6? Is it two permanent shower rods ? 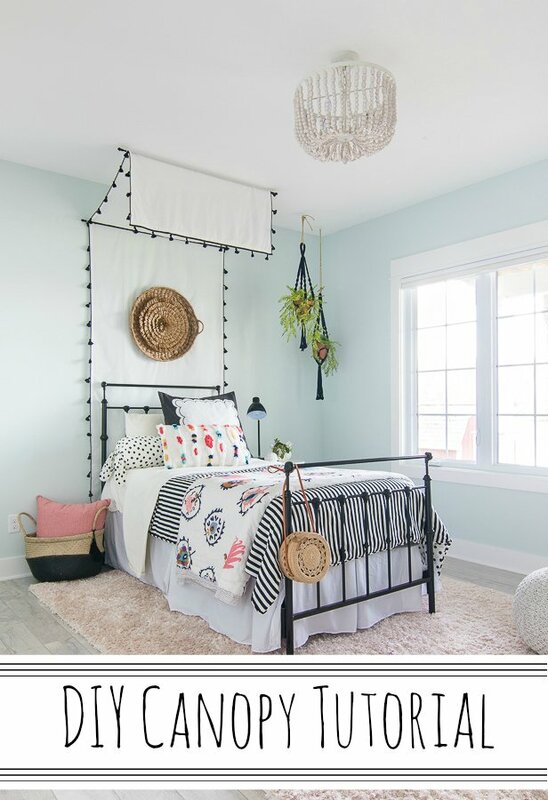 Whats the center piece is that a curtain rod stabilized by a wall mount? It isn’t our photo, but it does look like cafe style curtain rods to us! Love the ideas here for an adult room.